Do you know that 99% of businesses in Singapore are small and medium-sized enterprises (SMEs)? They employ 7 out of every 10 workers and contribute over 50% towards the National GDP. Yet only 1 in 20 SMEs gets bank financing. Why? Insufficient collateral and track record, staggering interest rates, or all of the above. The reality is that every business starts small and raising capital is a challenge. And in addition, startups are expected provide collateral, afford high interest rates, and have a proven track record, just to be able to get funded. While traditional banks may be appropriate for big, established corporations, small businesses may be better served by a less traditional route, but one that has gained popularity and traction over recent years. Consider peer-to-peer (P2P) lending, also known as “social lending.” P2P lending allows for individuals to lend and borrow money directly from each other, doing away with the middlemen, financial intermediaries like banks. Just as it offers borrowers loans with low interest rates, P2P lending also benefits lenders (investors) with deserving returns. In a typical P2P lending scenario, you sign up to become a member at a P2P marketplace website. 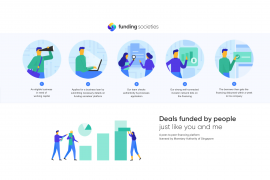 We at Funding Societies are among the first of such marketplace platforms in Singapore and South East Asia. Serving as the platform between borrower and lender, we take care of your borrowing and investment needs. Before you can borrow from our pool of lenders, we first take some time to get to know you better. We look into business and credit records along with a personal interview to understand your business. Because we want to make sure everyone goes home happy, we only accept quality applications. Let’s say you’ve been accepted (yay!). Our pool of lenders will see your approved application and make the decision to lend the funds to you. Once your loan is fully funded or funded to your satisfaction, the amount will be released to you. As a lender, you get to choose which ventures you wish to fund, and you can even spread your funds among several borrowers, spreading your risk. Because of the information transparency on our site, you’ll know what kind of business you’re lending to and to what end. You may sympathise with a particular industry’s story or venture, and the future success of the borrower and related industry can give you a sense of personal satisfaction knowing you contributed. Whether you are a borrower or lender, you may look into P2P lending for your next venture and consider Funding Societies. We are a marketplace lending platform that facilitates funding objectives of SMEs who hit a roadblock when it comes to getting financing. From the borrower’s end, one business borrows from many lenders. From the lender’s end, one person lends to many small businesses, spreading and minimising risks. Investors or lenders get high returns (in comparison to most investment instruments) and borrowers get the loans they need at reasonable rates. And fast. All in all a win-win situation. While we are confident in our mission, we realise that this operation comes with inherent risks and work with caution. In our efforts to mitigate any inherent or potential risks, we differentiate ourselves in that we work with a safer and less risky SME segment. With an interest rate of 10-20%, lenders can expect lower loan default. Being a marketplace platform, we are able to secure funds from not only retail investors, but also high net-worth individuals and institutional investors. From application to cash disbursement, the process time is short, with SMEs being able to immediately secure the minimum funding within days. 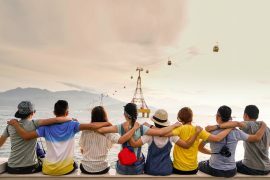 Our team is comprised of predominantly Southeast Asians, with a vision of making a positive contribution to the Southeast Asian societies, hence our name Funding Societies. Within three months since our incorporation in February 2015, we have put together a team of professionals, raised funds, and received large commitments from lenders. With access to the largest and most innovative marketplace lending players in the US and world-renowned thought leaders, and bringing into play the essence of the Silicon Valley startup culture, we work collectively to continually learn, deliver, and reinvent ourselves in this market. Our customer service is rooted in our relationship with you. 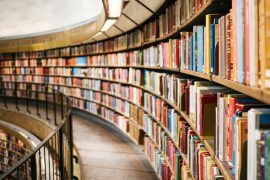 We are investing in our community and education to encourage discussion on relevant topics within the world of SMEs, safe borrowing, and investment, which is why you’ll see regular articles posted on our site blog. We have a dedicated team towards client service, ensuring that you will always be served and responded to in a timely way. Making the most of today’s technology, we operate efficiently to connect and facilitate the conversation among our community of borrowers and lenders (investors). We understand that everybody starts somewhere, and it doesn’t matter where you are, our focus is to get you (the SMEs) the funding required to grow and for lenders (investors) the boost in returns you deserve. With your partnership, you’ll be helping us deliver our mission of serving local businesses and aspiring entrepreneurs. This is our social promise. The thriving of our national economy is measured by the growth and success of its enterprises, small, medium, and big. Let’s work together not just for our individual accomplishments, but also for our collective progress as a community.